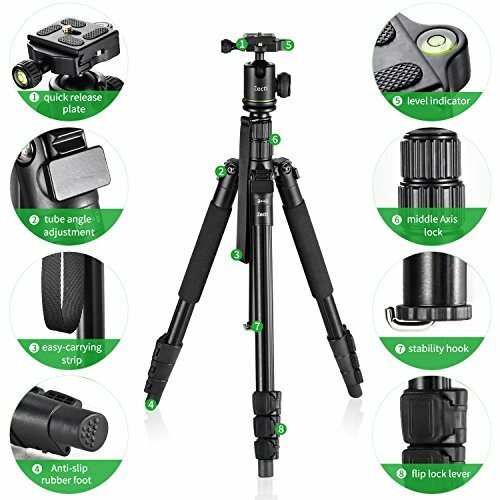 Lightweight Compact Tripod: Weight: 2.06Ib. 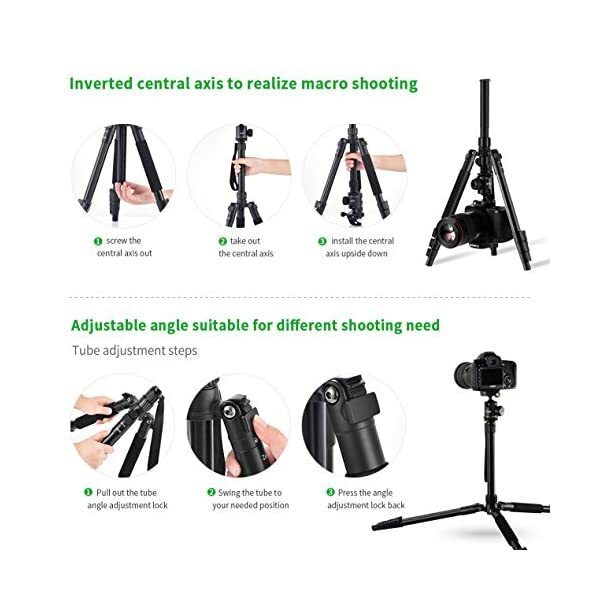 The max loading capacity is 7Ib. 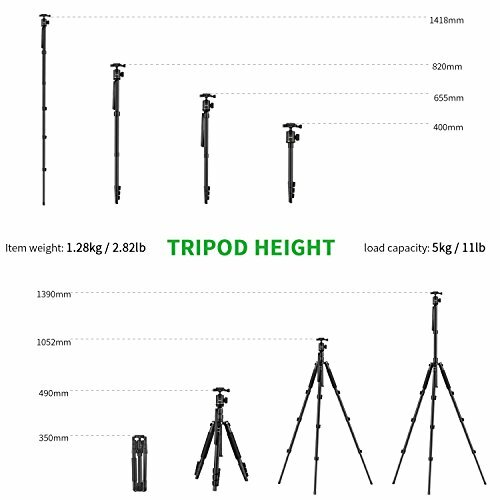 The height is adjustable from Max Height 50” to Min Height 15.7”. 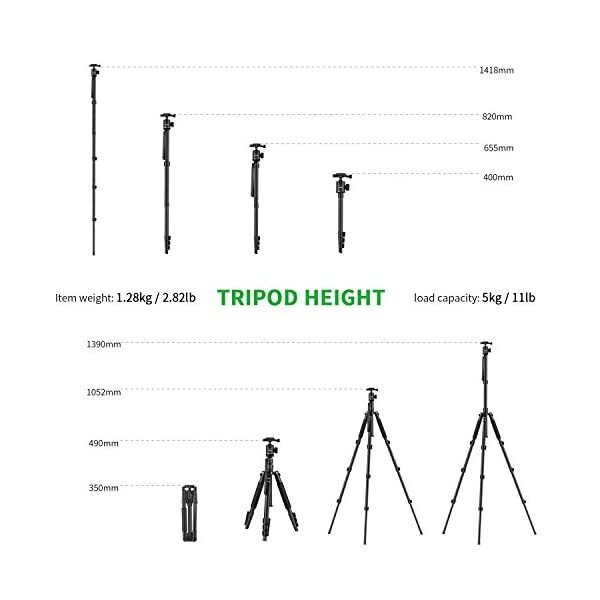 Height of the middle axis is 10”. 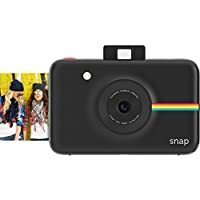 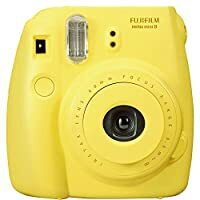 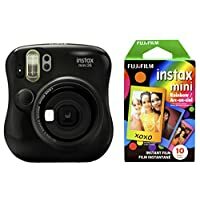 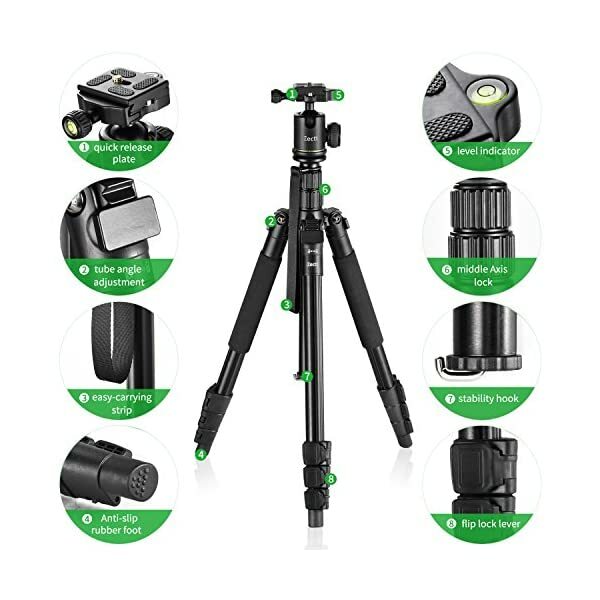 Panorama Ball Head: This camera tripod with a 360-degree panoramic ball head and bubble level indicator, so that in every position we can take the perfect photo. 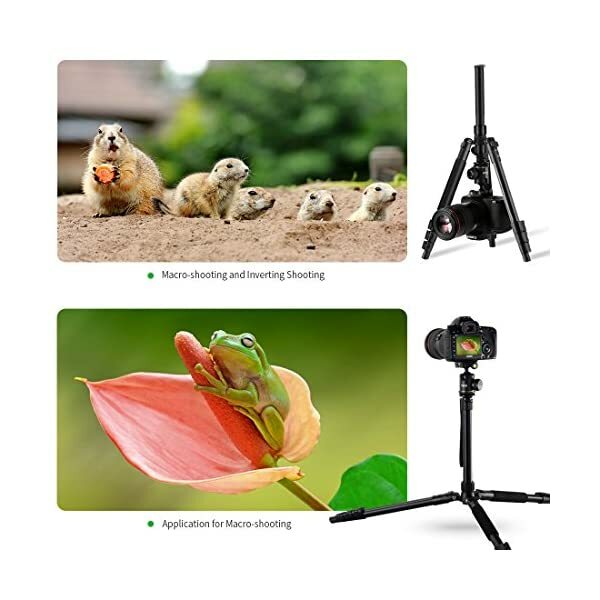 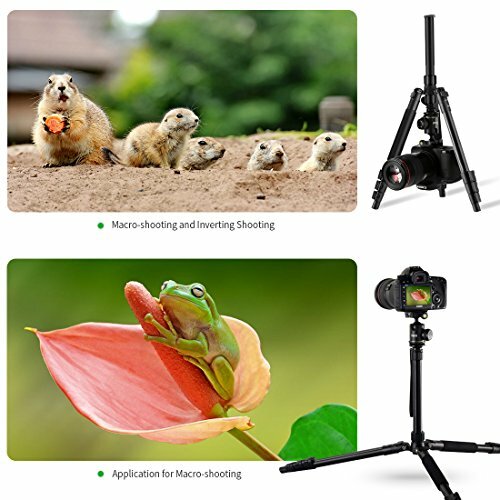 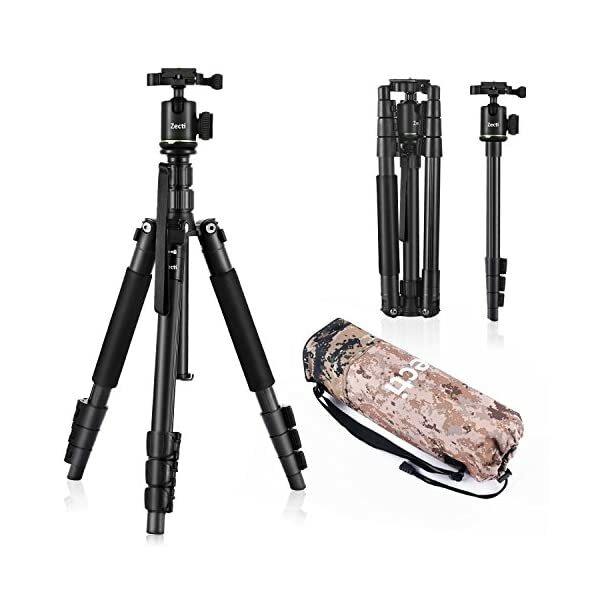 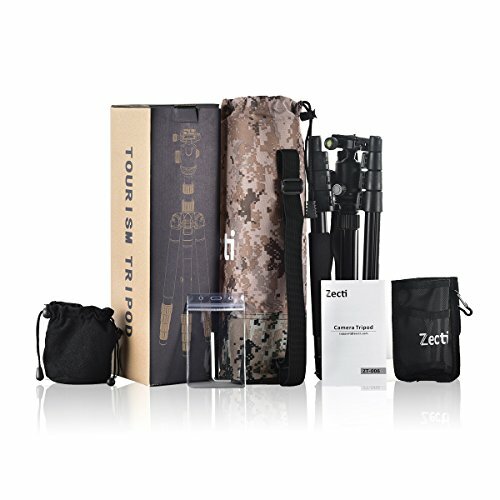 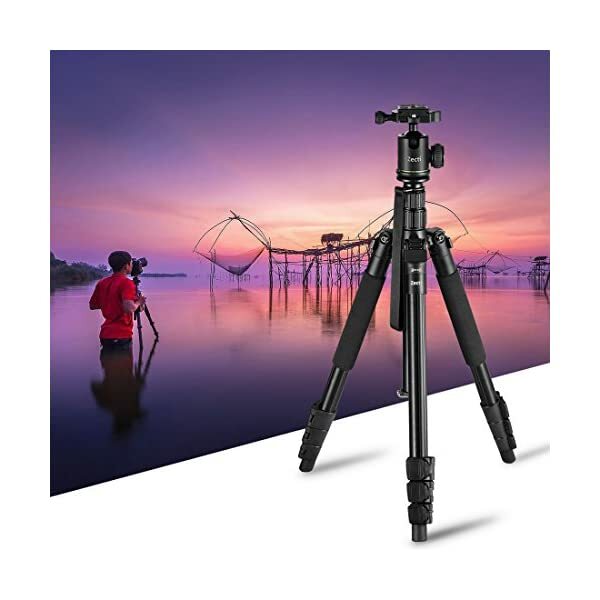 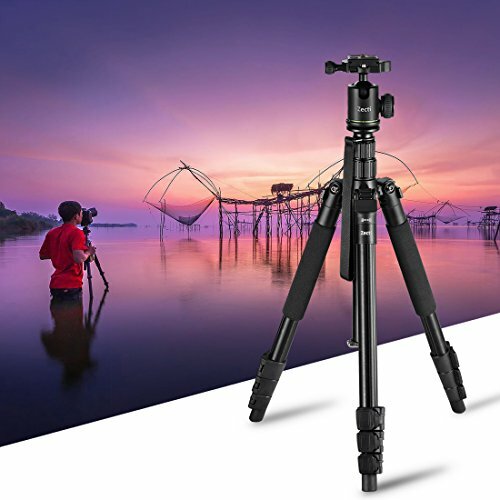 Adjustability and stability: The professional photo tripod is delivered with 4-part center column, gravity hook and the anti-slip tripod sole, provide more stability even on different surfaces in bad weather outdoors. 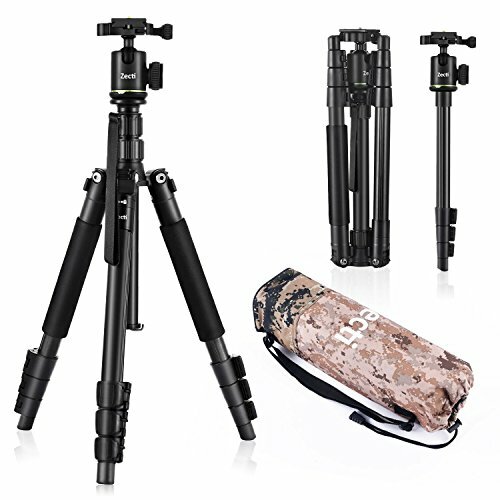 Travel Preferred: Camera Stand with Anodized Aluminum Tripod Leg and Centerline can make Axis Macro Shot and Inverted Shooting. 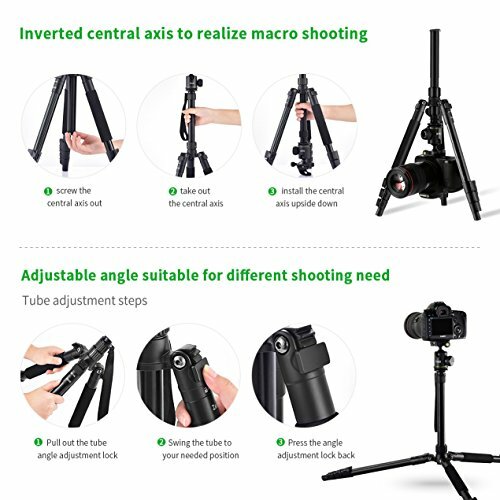 It is convenient to use to adjust the ball head with non-slip grip.